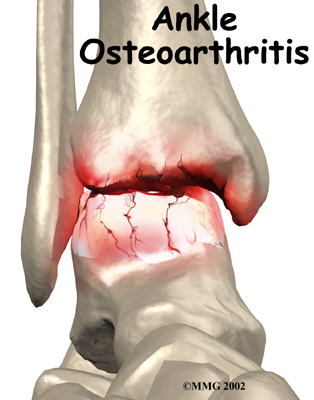 Welcome to Grapevine Physical Therapy & Sports Medicine's patient resource about Osteoarthritis of the Ankle. The diagnosis of OA begins with a history of the problem. Details about any injuries that may have occurred to the joint, even years before, are important in helping up understand why the condition exists. Whether or not other family members have OA may also shed some light on the problem. Following the history, the Physical Therapists at Grapevine Physical Therapy & Sports Medicine will examine the ankle joint and possibly other joints in your body. It will be important for us to see how the motion of the ankle has been affected. 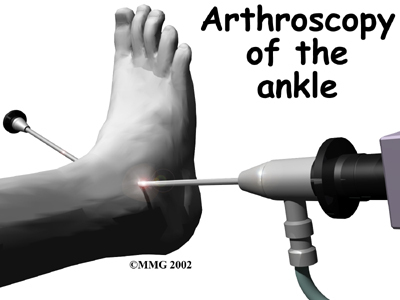 The alignment of the ankle will be assessed. 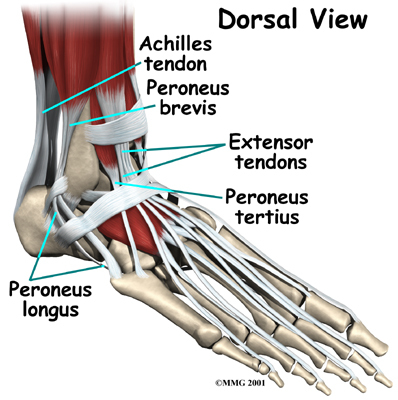 The nerves and circulation going to the legs and ankle will be checked. Your therapist will watch you walk to see if you have a noticeable limp. Our Physical Therapist may also refer you to a doctor for X-rays or other diagnostic tools that can aid in obtaining an accurate diagnosis, prior to the start of your Physical Therapy program. Rehabilitation services, such as those offered at Grapevine Physical Therapy & Sports Medicine, play a critical role in the treatment plan for ankle joint arthritis. 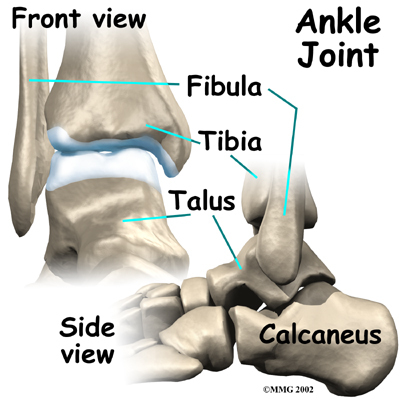 Treatment usually begins when the ankle first becomes painful. The pain may only occur at first with heavy use and may simply require the use of mild anti-inflammatory medications such as aspirin or ibuprofen. Reducing the activity or changing from occupations that require long periods of standing and walking may be necessary to help control the symptoms. The main goal of your Physical Therapy program is to help you learn how to control symptoms and maximize the health of your ankle. Our therapist will instruct you on techniques you can use to calm your pain and symptoms. We may advise may use rest, heat, or topical rubs. Our Physical Therapist will work with you to improve flexibility, balance, and strength. Our Physical Therapist in Grapevinewill also provide training to help you walk smoothly and without a limp, which may require that you use a walking aid such as a walker, crutches, or cane. We may recommend modifying your shoe with a rocker sole may give some relief of symptoms. The rocker sole replaces your normal sole with a rounded one, allowing your foot to roll as you move through a step. This can help take stress off the ankle as you walk. If you don't need surgery, we may recommend that range-of-motion exercises for the ankle be started as pain eases, followed by a program of strengthening. Our program then advances to include strength and balance exercises. Your Physical Therapist will give you tips on keeping your symptoms controlled. Although recovery time varies among patients, as a guideline, you may progress to a home program within four to six weeks. 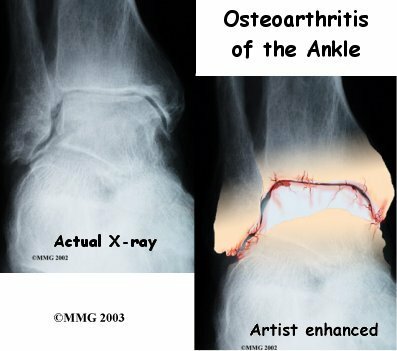 In cases of advanced OA where surgery is called for, patients may also see our Physical Therapists before surgery to discuss exercises that will be used just after surgery and to begin practicing using crutches or a walker. 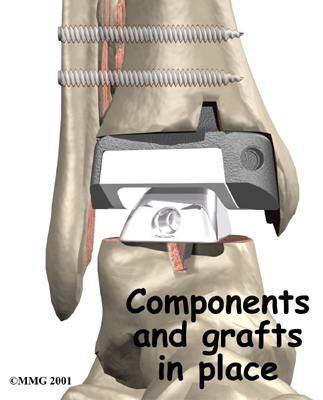 Your ankle will be bandaged with a well-padded dressing and a splint for support after surgery. Most patients are instructed not to place weight on their foot for a period of time after surgery. After arthroscopy, this period typically lasts about one week. 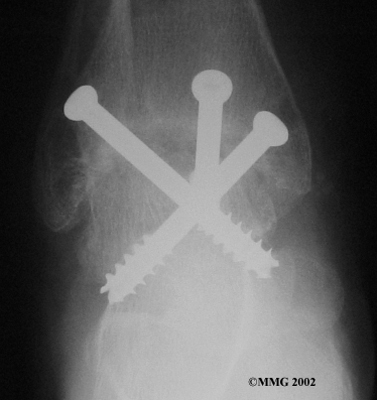 Although recovery time is not the same for everybody, after ankle joint replacement, most patients are usually advised to avoid placing weight on their foot for up to 12 weeks. Physical Therapy sessions, such as those provided by Grapevine Physical Therapy & Sports Medicine, may be needed after surgery for up to two months. When you visit Grapevine Physical Therapy & Sports Medicine, your first few treatments will be used to help control the pain and swelling after surgery. Treatments provided by our therapist may include electrical stimulation, ice, and soft tissue massage. We may also use hands-on joint movements and stretching to improve your range of motion and flexibility. Our Physical Therapists sometimes treat patients in a pool. Exercising in a swimming pool puts less stress on the ankle joint, and the buoyancy lets you move and exercise easier. Once you've gotten your pool exercises down and the other parts of your Grapevine Physical Therapy & Sports Medicine rehab program advance, you may be instructed in an independent program. Our Physical Therapist will also work with you to safely increase the amount of weight you are able to place on your foot. Our goal will be to help you walk comfortably and with a smooth walking pattern. 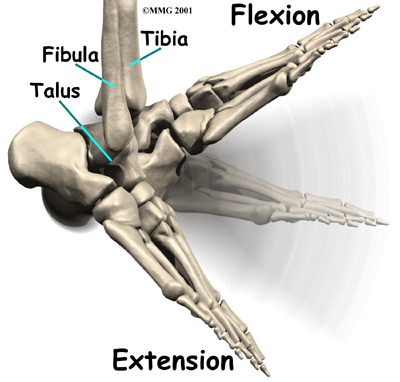 Some of the exercises you'll do are to help strengthen and stabilize the muscles around the ankle joint. Your Physical Therapist will provide tips on ways to do your activities while avoiding extra strain on the ankle joint. 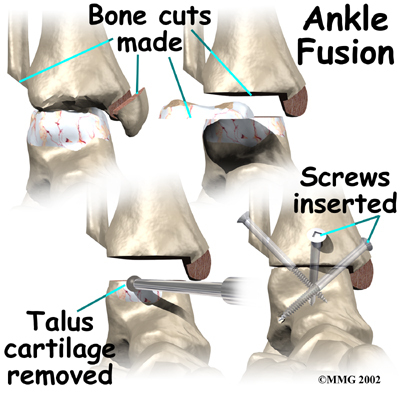 Your physician may take regular X-rays to see how severely the joint is damaged. This is usually the most important test to determine how bad the OA has become. 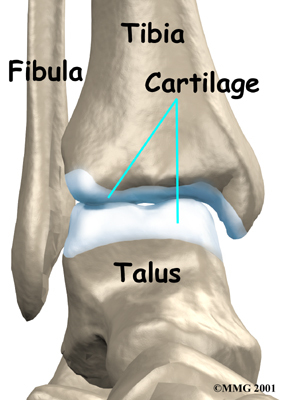 How much articular cartilage is left in the ankle joint can also be estimated with the X-rays. An injection of cortizone into the joint can give temporary relief from symptoms of OA. Cortisone is a powerful anti-inflammatory medication. When injected into the joint itself, cortisone can help relieve the pain. 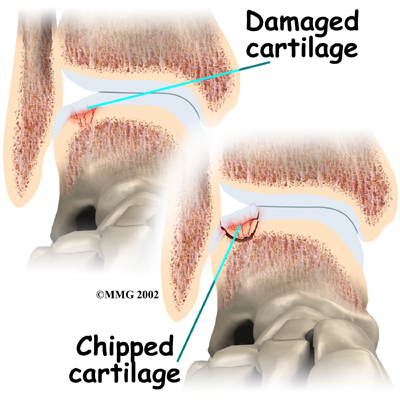 The pain relief is temporary and usually only lasts several weeks to months. 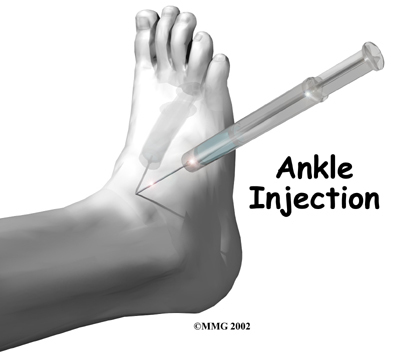 There is a small risk of infection with any injection into a joint, and cortisone injections are no exception.